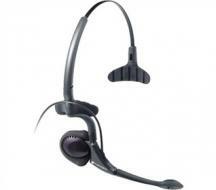 The plantronics has a big name in the field of technology and headset related products. The Plantronics DuoPro Series Headsets and Headphones is the new addition in family of headset and are designed to give their user a new experience. The Plantronics DuoPro Series Headsets has a very sleek and flexible design, which fits to ears in every position. The Plantronics DuoPro Series Headphones have more features than their previous models to comfort the user and win their loyalty towards them. 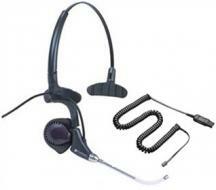 This versatile headset is known of its look and because of allowing different type of wearing style. The Plantronics DuoPro Series can be wear over the head, over the ear and behind the head. It can be used with ease and comfort in every position while you are doing some work or relaxing on your bed. The ear cushions are very soft and easy to fit in the ears, the microphone has the ability of noise reduction and auto quick disconnect option make you walk away without detaching your headset. The Plantronics DuoPro Series Headsets and Headphones has many enticing feature for each and every kind of users. 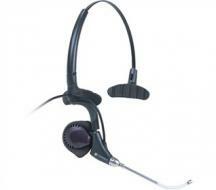 Telegiants is associated as distributor with Plantronics since 1964, so make purchases through our online store headsetzone.com and get extended warranty along with lifetime support option. 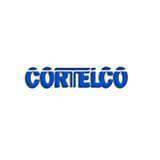 We always offer unopened / new product with massive discounts. You can also buy accessories such as Leatherette Ear Cushion, Micro USB Cable, and Travel Case through our store. If you dislike or want to return back any item. We tender 30 days money back guarantee option. The Plantronics use to always come with innovative headset with classy look and durability. 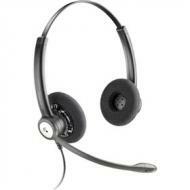 The Plantronics DuoPro H171N Corded Headset is one of the latest additions in their headset family. The Plantronics DuoPro H171N Corded Headphone is most versatile headset with a single ear cushion and other side just giving support to stay on your head. The DuoPro H171N has sleek and adorable design which gives comfort to its user along with long lasting durability. 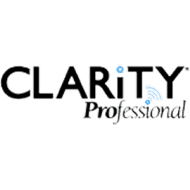 The Plantronics headset / headphone family is getting bigger day by day with the introduction of new technology and needs of their users. The Plantronics DuoPro H171 Corded Headset is one of the best headset of Plantronics and famous in the circle of headset users. The Plantronics DuoPro H171 Corded Headphone has adorable design which gives comfort, ease and durability along with two type of wearing style such as over the head and over the ears. The Plantronics DuoPro H171 Corded Headphone is known of its best sound quality and microphone with noise reduction feature.